The following three-part series provides a first-hand account of one stop on Jordan Peterson’s recent 45-city tour promoting his bestselling book 12 Rules for Life: An Antidote to Chaos, with popular political commentator Dave Rubin. In part one I provide some background on the Peterson phenomenon, followed by a detailed account of one of his rallies in part two. 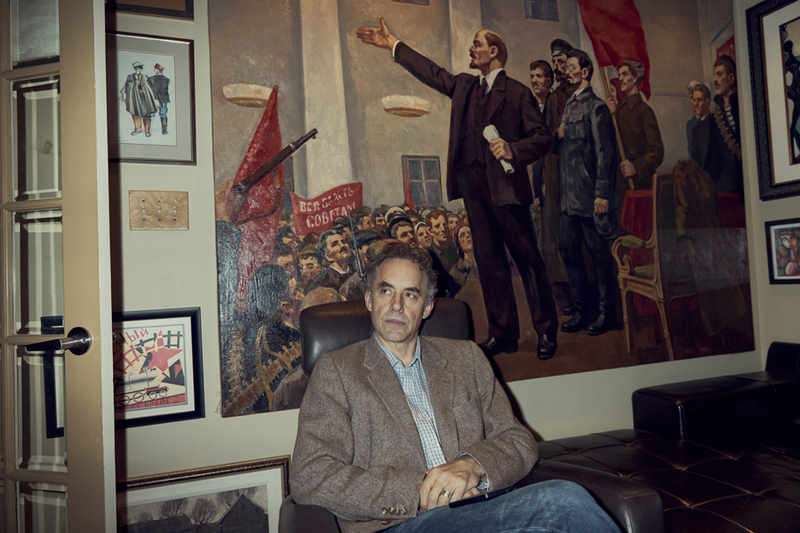 Here in part three I offer some thoughts on how we might situate this phenomenon within broader cultural trends, with a tidbit on my own experience sitting in on a few of Peterson’s classes during my undergraduate years at the University of Toronto. The following three-part series provides a first-hand account of one stop on Jordan Peterson’s recent 45-city tour promoting his bestselling book 12 Rules for Life: An Antidote to Chaos, with popular political commentator Dave Rubin. 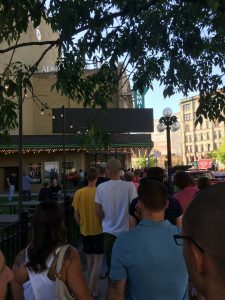 In part one I provide some background on the Peterson phenomenon, followed by a detailed account of one of his rallies here in part two. Part three will offer some thoughts on how we might situate this phenomenon within broader cultural trends, with a tidbit on my own experience sitting in on a few of Peterson’s classes during my undergraduate years at the University of Toronto. The social obligation to fit in is to fit in regardless because it’s so threatening not to. – Jordan Peterson, conformist, enemy of freedom. 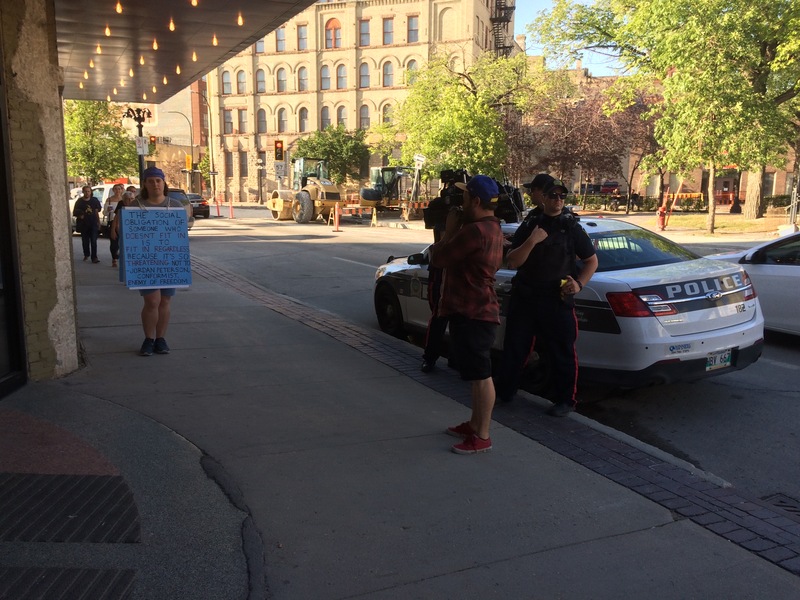 In speaking with this lone protester I was informed that only a few people had asked them questions about their sign, and that all were generally polite and non-confrontational (perhaps due in part to the presence of police). There was no merchandise being sold inside the theatre (full disclosure: I was hoping for a lobster t-shirt) save for two small posters, $20 and $30 respectively—featuring images illustrating the 12 Rules for Life. There was also a VIP meet and greet with Peterson afterwards, which could be purchased for $100. 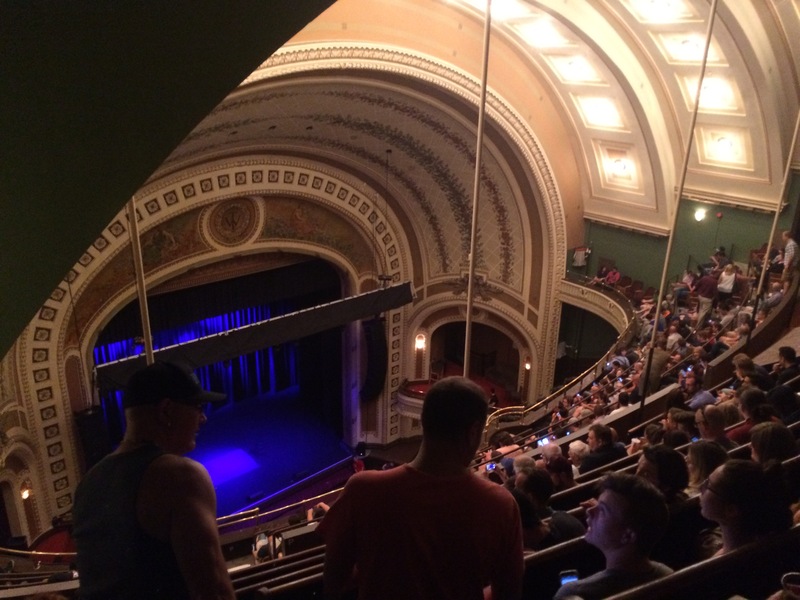 Dave Rubin opened the show with a 5-minute comedy routine to a packed theatre (capacity = 1638), which included jokes about Peterson wrestling a lobster backstage and playfully asking if everyone had cleaned their room—a reference to one of Peterson’s 12 rules that some critics have latched on to as an example of the over-simplified “self-help” nature of his message (e.g., see Nathan Robinson’s critique). In fairness to Peterson, each of the 12 rules is embedded in a chapter that draws on elements of mythology, ontology, neuroscience, and personal experience (e.g., growing up, as a father, etc. ), which aims to locate these rules within a larger narrative of universal truths (or archetypes), buttressed by empirical claims about human cognition and anecdotes from his experience as a psycho-therapist. 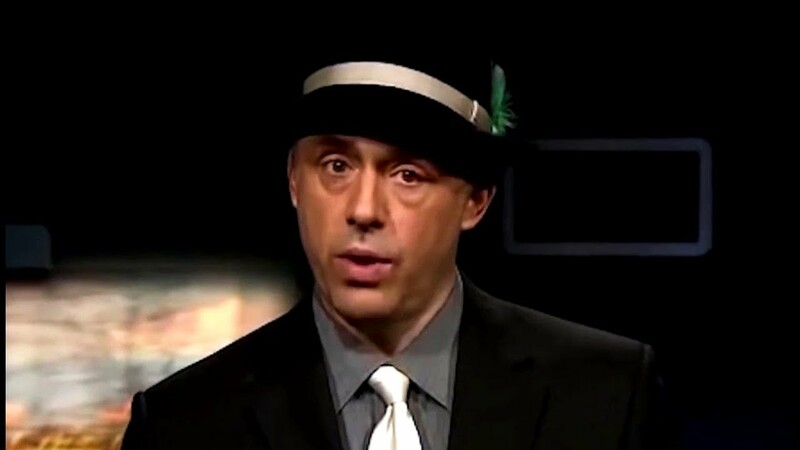 Rubin also noted how Peterson continues to be attacked by media outlets like The New York Times, and expressed their excitement about being a part of the “intellectual dark web.” Here he mentioned Peterson’s now infamous line about “enforced monogamy” in response to the “incel” attack in Toronto last April, coyly brushing it off as “basically marriage,” while stating that they might as well own the term if the media was going to use it. While I may have misheard him, I’m fairly certain that Peterson read the last line quoted above as “and one man in his time plays his part.” Creative licence or not, his gloss was that it is the individual (and not the collective) that makes up society, and that each person must therefore take responsibility and play their part. This, above all else, is the ultimate antidote to chaos, which we are currently experiencing on a global scale. Peterson was careful to stress that our current state of chaos is not the result of capitalism or broader social structures, and certainly not the fault of the ‘West’ or ‘Western values,’ which he claims have created the best systems that the world has ever known (e.g., free markets, innovation, private property, etc.) and lead to more progress and prosperity than during any time in human history (here he mentioned www.humanprogress.org as a prime example of such trends). It is worth noting that humanprogress.org is a conservative website that champions free market capitalism and is a project of The Cato Institute, a libertarian think tank founded by the Koch brothers. Rubin himself is sponsored by Learn Liberty, which was launched by the Institute for Humane Studies, largely funded by Charles Koch. Rubin is also affiliated with Prager University, a media organization considered by some to be the intellectual wing of conservative politics in the United States, with videos racking up over 1 billion views to date. While it is not clear whether Peterson receives money directly from these or other groups, his association with Rubin reveals some rather clear affinities with powerful social actors who have a vested interest in supporting public intellectuals that espouse some version of libertarian ideology as a way to counter the perception that ‘leftist’ ideology (e.g., ‘post-modern, Neo-Marxism’) is on the rise. 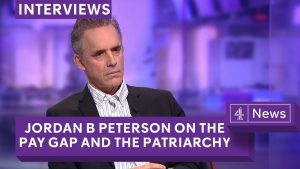 Peterson has presented two videos for Prager University to this effect (see here and here). Peterson interpreted this poem (written in 1836-37 when Marx was 18-19 years old) as evidence of a young man seeking bloodthirsty revenge, whose ideas would latter wreak havoc in the form of over 100 million deaths. This interpretative style is common with Peterson, where he’ll state that he’s thought about something for a long time (often for over a decade) and has finally “figured it out.” Such certainty is curiously balanced with an emphasis on the complexity of human understanding, at least when it comes to solving problems like climate change, public policy, poverty, and the like. Indeed, the rhetorical back and forth between acknowledging complexity in some cases (e.g., see his statement on Islam here) and claiming absolute certainty in others is a common move that Peterson uses in his books and lectures, as when (to give an example of the latter tendency) he interprets the Garden of Eden narrative in the Book of Genesis as an allegory for taking individual responsibility amidst the chaos of the world. Much of Peterson’s talk revolved around the errors of collectivism (which for him ultimately leads to communism) and the virtues of the individual, which translates on the political stage as free speech, capitalism, free markets, and individual responsibility. This, he claims, is an essential truism to grasp, especially since the spectre of Marx is being taken up once again by the “radical left,” which, if left unchecked, can lead to authoritarianism and, eventually, the gulag. Peterson’s antidote of taking personal responsibility is given priority over equal rights (or better phrased, is seen as an a priori first step) since responsibility is what empowers the individual to challenge them self through increasing returns (e.g., through micro-improvements of the self over time), and to create new innovations that will make the world a better place. This line of argument parallels Harvard psychologist Steven Pinker’s Panglosian idealism (who Peterson tips his hat to), along with the work of Bjorn Lomborg, a climate change sceptic that Peterson admires, especially his book The Skeptical Environmentalist, which he urged the audience to check out. Bjorn Lomborg is a Danish-based scientist, famous for his book The Skeptical Environmentalist. Like Dyson, he’s not an outright denier, but rather he thinks the current approach to global warming is misguided and that the costs of drastic, short-term action are too high. Instead, he thinks we should focus on becoming more adaptable, while putting more effort into such real-world tragedies as AIDS and malaria. Peterson lauds this approach since we can’t know what will lie ahead and thus can’t predict where the science will take us. Here he shared a personal anecdote about working as a consultant with the UN Secretary General’s High Level Panel for Sustainable Development (leading some on Reddit to call him a ‘globalist‘) and how, for him, this amounted to a useless competition to get 150 ideas listed on a platform. 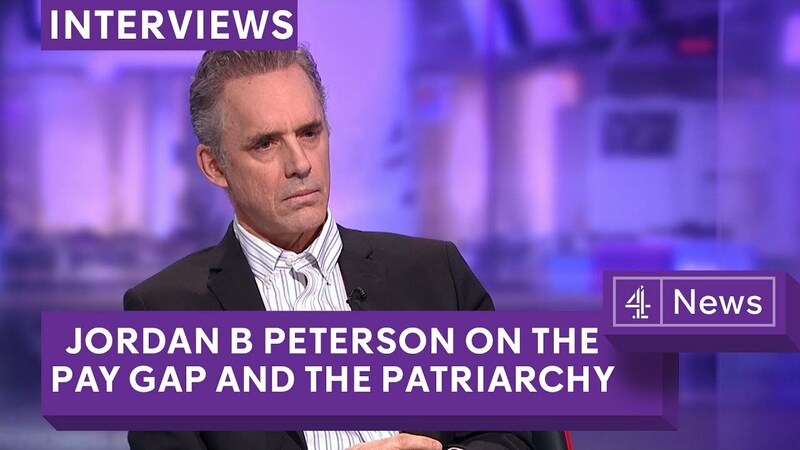 Peterson’s preferred solution to this ‘chaos’ was to start with two ideas, or at least to prioritize the top contenders. 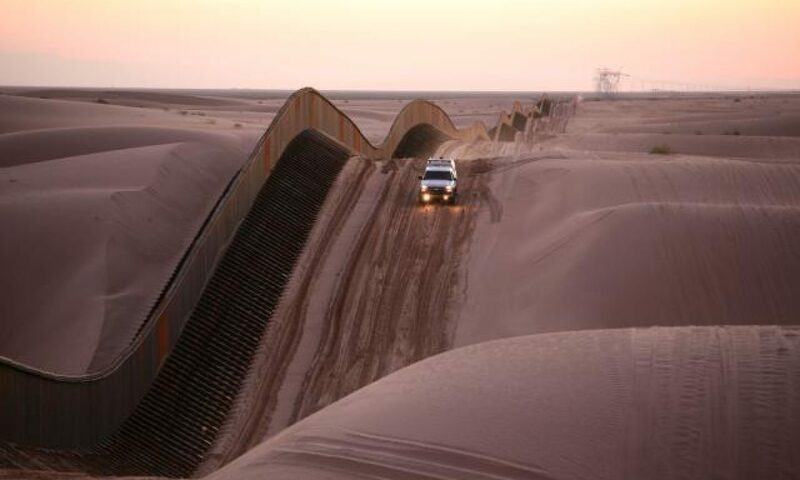 No directives were given for how this would be decided, though the point was clear. As with his 12 Rules for Life, political projects should only take on what can “reasonably” be accomplished. This is why, for Peterson (as for Lomborg) we should be working to deliver practical projects like heath care and education to poor countries, as modelled by Bill Gates, instead of spending $75 billion on risky and uncertain outcomes like projects to tackle climate change. The free market gave us Gates’s innovations along with his philanthropy, which Peterson upholds as the most responsible way forward since it will lead to the development of more creative minds that can help humanity solve its toughest problems. Suffering was a constant theme throughout Peterson’s talk–acknowledging that we suffer (with no hat-tip to the Buddha, I might add), with a decidedly conservative twist, urging that we can lessen our suffering by taking personal responsibility. In this way, Peterson zeroed-in on reconciling people to the chaos of life by encouraging them to maximize their inherent potential through small acts of self-ownership that can be built upon, piece-by-piece, over time toward ever increasing returns. During the Q&A, Peterson and Rubin sat together on stage in plush leather chairs, as Peterson was asked a number of pre-selected questions, read by Rubin from JP’s own laptop. Some of the questions included: would he run for Prime Minister of Canada? ; what he wanted to be as a young child? ; and who his heroes were? 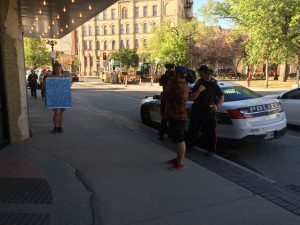 After a moment’s pause to the latter question, Peterson singled out Islam critic and popular atheist Ayaan Hirsi Ali for her defense of free speech, British writer Douglas Murray, known for his defence of the West and ruthless critique of Islam, and Lindsay Shepherd, a former Master’s student at Wilfred Laurier University who became a brief cause célèbre for defenders of free speech when she sued her university after being reprimanded for playing a video clip of Peterson during a class that she lead as a TA. 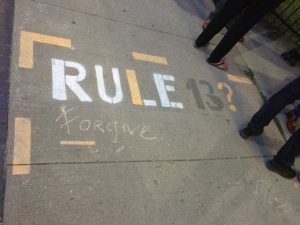 Peterson himself has filed a lawsuit against Wilfred Laurier for defamation, directly related to this controversy. The topic of marriage also came up during the Q&A, where Peterson stressed the importance of working through conflict in order to learn from past mistakes, which aligns with his ethos of taking personal responsibility as the fundamental building block of society (i.e., the individual and not the collective). 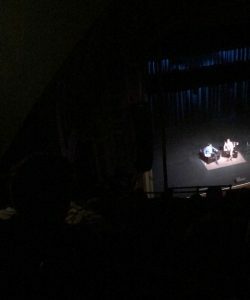 Peterson ended the Q&A by noting that he had just finished writing an introduction to a new edition of Solschenizyn’s The Gulag Archipelago, and how he is currently working to turn his debate with ‘new atheist” and neuroscientist Sam Harris into a book that focuses on their dispute over the role of rationality in human behaviour. 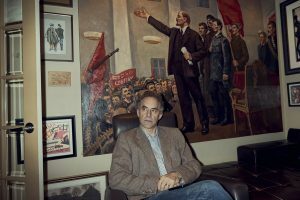 Stay turned for part three in this three-part series, where I’ll offer some thoughts on how we might situate the Peterson phenomenon as a continuation and innovation upon certain cultural and political trends. All additional photos are the author’s.